It is as it says above: the Arthur Ellis Awards recognise the best in Canadian crime writing. 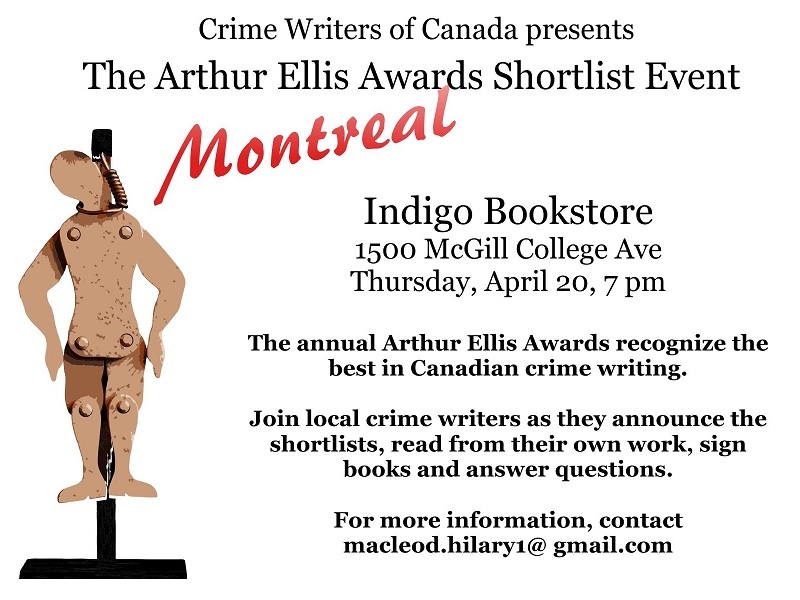 I’m not in the running (yet) but, being in Montreal, I’ll be there as one of the local crime writers playing host. With me will be Peter Kirby (last year’s winner for Best Crime Novel), Michael Blair, Michael Kent, Jim Napier, Geri Newell, and, of course, Hilary MacLeod who is also the organiser for the event. In the meantime, here’s hoping for a speedy editorial process.